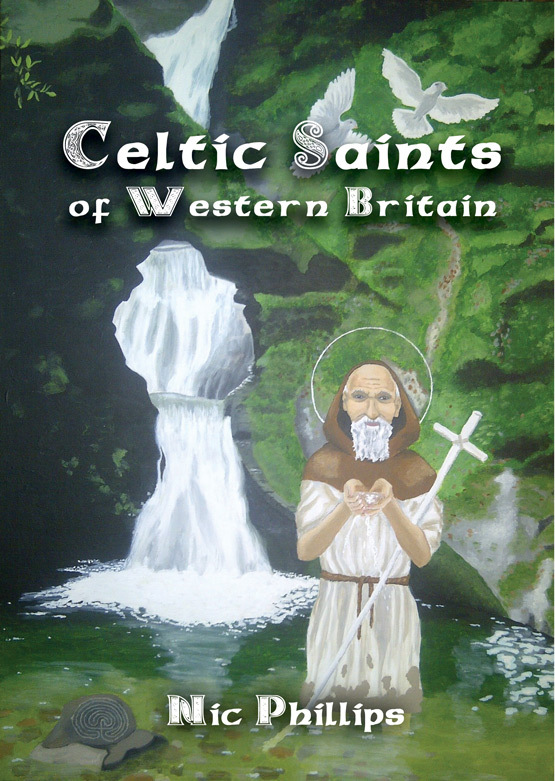 One of the three Cornish Patron Saints, Petroc came from Wales and set up several centres of worship in Cornwall. The town of Padstow’s name is derived from Petroc. Performer of many miracles, he reportedly sailed to an island in the Indian Ocean in a silver bowl and on his return drove out a giant serpent. The stag is from the story of the conversion of King Constantine who was hunting it and who came across Petroc who was sheltering it. Petroc saved the stag and converted the king, all in a day’s work! Acrylic on Canvas (16in x 24in).